Start of Tech Year 2019: Future of Work ! You must be a member of the Helsinki Finnish Group to attend this activity. Would you like to join this group? Hey, you who work in tech! 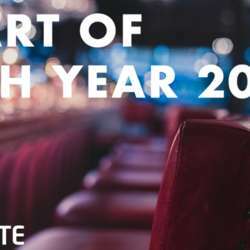 We would like to invite you to start the Tech Year Protected content with Sofigate! The event will take place in the heart of Otaniemi, the Finnish cradle of innovation, in restaurant Protected content on the 23rd of January Protected content Protected content . There will be some thought-provoking discussions, good company, and pizza and refreshments on the house. We will have two stimulating keynotes from tech pros about how technology, especially AI and robotics, shift the way of working in future. You will also be able to join in related discussions and partake on a Business Technology pub quiz. You will also hear about what we do and how it’s like to work at Sofigate, as well as how incredible cases we’ve had lately. The event is a great chance to meet like-minded enthusiastic tech people, get to know a few Sofigators, and set your mind to the opportunities of year Protected content ! The event will be in English also.